Half of Americans are unconvinced that Barack Obama’s birth certificate, released in 2011 at the White House amidst fanfare and proclamation that it is “proof positive” of Obama’s eligibility to be president, is authentic. About the same number disbelieve his eligibility to be president, and the skeptics also say he has not provided adequate and “authentic” documentation about his qualifications to sit as commander in chief in the Oval Office. The confirmation numbers are the newest on the long running debate over Obama’s eligibility and occupancy of the presidency, and are from a WND/Wenzel Poll conducted exclusively for WND by the public-opinion research and media consulting company Wenzel Strategies. The scientific telephone survey was conducted March 10-13 and has a margin of error of 3.72 percentage points. And another 14 percent say they are uncertain whether he has. The numbers show 52.8 percent say Obama has provided that documentation. The statistics are very nearly the same for related questions. While 54 percent said they believe Obama is eligible, 29.8 percent simply said that he is not. And another 16 percent had doubts about the issue enough that they could not ascertain that answer. Also, while 50 percent say his long form birth certificate is real, 25 percent say it is a fake and 24 percent say they just can’t determine. “Much has been written over the past three years about the Obama administration’s dismissive approach to the U.S. Constitution, but there is little as shocking as the findings of this latest survey that nearly half of the registered voters in American believe the president is not legally qualified to serve,” said Fritz Wenzel in his analysis of the results. “Even among the most liberal Americans – his most ardent supporters – more than 20 percent said they think he is not eligible, yet there is no outrage or protests in the streets. There is simply no way to describe this situation because it is unlike any we have ever seen before,” he said. “Politically, the findings on this subject spell potential disaster for the Obama re-election campaign in that one in three independent voters does not believe Obama has provided enough documentation to prove he is legally eligible to hold the presidency,” Wenzel said. “These people will not be voting for him. However, he noted that Obama is not the only one at fault. “That no serious action has been taken in Washington to confront this issue paints a sad picture of the impotence or spinelessness of the president’s political opponents and a pathetic portrait of a nation’s citizens who are mostly content to sit idly by while an apparent imposter raids their national treasury and runs their once-great nation into the ground,” Wenzel said. In fact, a recent law enforcement investigation by a Cold Case Posse assembled by Sheriff Joe Arpaio of Maricopa County, Ariz., revealed that there is probable cause to believe there was forgery committed in the creation of the Obama document, and fraud in presenting it as a real certificate. The sheriff has confirmed that investigation by professional law enforcement officers and attorneys is continuing, with a focus being on the person who created the document image. The latest poll results followed a recent poll by Public Policy Polling of GOP primary voters in three battleground states. The poll asked whether voters think Obama was born in the United States, or not? Thirty-seven percent of Republican primary voters in Ohio, 38 percent of them in Georgia and a startling 45 percent of them in Tennessee said they don’t believe he was. And another large percentage, some 1 in 5, have doubts so that they cannot say for sure they believe him. The issue is that while the Constitution requires a president to be a “natural born citizen” the documentation that would reveal that for Obama remains unrevealed. Obama has refused to allow access to whatever original documentation there might be in the state of Hawaii, where he said he was born, as well as many other documents, such as passport records, kindergarten records, Punahou school records, Occidental College records, Columbia University records, Columbia thesis, Harvard Law School records, Harvard Law Review articles, University of Chicago articles, Illinois State Bar Association records, Illinois State Senate records and schedules, medical records, Obama/Dunham marriage license, Obama/Dunham divorce documents, Soetoro/Dunham marriage license and adoption records. There also are his critics who say that “natural born citizen” at the time the Constitution was written would have meant the offspring of two citizens of the country, and since Obama’s father was a foreign national, he would not qualify under that standard. The WND/Wenzel poll also addressed that, revealing that half of Americans believe that to be natural born requires being born in the U.S., and one in five believes it means that both parents must be citizens. Obama’s father never was a U.S. citizen. Back when the Iowa caucuses were being held a Public Policy Polling report noted that one in three Iowa GOP members do not believe Obama was born in the United States – an indication of their disbelief about his eligibility to be president. WND also reported that another recent poll showed half of registered voters would like to see Congress investigate Obama’s eligibility. It also showed nearly that many believe the definition of the constitutional term “natural born citizen” means both parents must be U.S. citizens. The eligibility saga, as Wenzel noted, has taken on a life of its own. It began with questions about Obama’s birth place and parentage before his election. At that time, he released a computer image of a short-form “Certification of Live Birth” from Hawaii and insisted it was original and the only document available. Then last April, just as a new book, “Where’s the Birth Certificate? The Case that Barack Obama is Not Eligible to Be President,” by Jerome Corsi, Ph.D., reached the No. 1 spot on Amazon and was about to be released, Obama took a dramatic step. He instructed his White House counsel, Robert Bauer, to have a private attorney, Judy Corley of Perkins Coie, contact the Hawaii Department of Health to obtain a copy of his “Certificate of Live Birth” purportedly on file with the state. 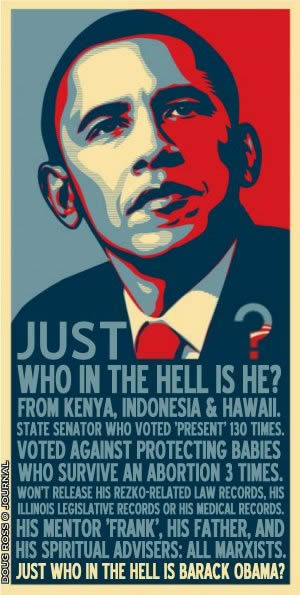 The White House subsequently released copies of a copy of the document, as well as an online image, calling it “proof positive” of a Hawaii birth. Since then, however, dozens of experts, including Arpaio and several ex-CIA members, have asserted that the document is fraudulent. At its release, WND contacted the Hawaii Health Department and the office of Gov. Neil Abercrombie, an ardent Obama supporter, to request confirmation that the image released was an accurate representation of the state’s file information. Officials declined to respond. A constitutional expert recently weighed in on the issue and concluded that the obvious meaning of the term “natural born citizen,” which is not defined in the Constitution, is someone who obtains citizenship naturally, from citizen parents, and not from any act of Congress or other affirmative action. Just days after the White House released the “birth certificate” image, Gallup reported that only 47 percent thought Obama was definitely born in the U.S. and 18 percent said he “probably” was. Obama released the image saying he had no time for such silliness as questions about his birth, then departed for an appearance on Oprah’s television show. It was only a few months after Obama’s inauguration that a WND/Wenzel Poll showed that 51.3 percent of Americans said they were aware of the questions raised about Obama’s constitutional eligibility for office. Only 18.7 percent said they were not and another 30 percent were unsure. At that point, 58.2 percent of Republicans said they were aware of the controversy. A survey by Angus Reid Global Monitor, a division of Vision Critical Group,in October 2009 found three in 10 people in the U.S. believed Obama to be a foreigner.”While only 13 percent of Democratic Party supporters believe Obama was not born in the U.S., the proportion rises to 25 percent among independents and 51 percent among Republican Party backers,” the report said. Democrats said they did not consider him legitimate. In May 2010, a WND/Wenzel Poll showed that 55 percent of Americans wanted Obama to release all records relating to his childhood and his education, including “college records, Harvard Law School papers, passport records, travel records, and other similar documentation.”"Asked what should be done should it be found that Obama does not meet the qualifications to be president, 59 percent said he should be removed from office, and 35 percent said all bills signed into law by Obama should be repealed,” the poll’s analysis revealed. By June 2010, other media were beginning to put their toes in the waters of the controversy. A 60 Minutes-Vanity Fair poll showed only 39 percent of respondents believed Obama was born in Hawaii as he claimed in his book.”A shocking 63 percent – very nearly two-thirds of us – went out on a limb and stated for the record that we believe in the United States. It’s enough to make you proud to be an American – or 63 percent proud, at any rate.”But that figure included those who said they believe he was born in Kansas or some other unknown state, which still would conflict with Obama’s story. The U.S. Constitution requires that, to serve as president of the United States, a person must be a natural born citizen. What do you believe the founders of the country intended that to mean? Do you believe Barack Obama is eligible to serve as president of the United States? Do you believe that he has provided adequate and authentic documentation that he is qualified to serve as president of the United States? Last year, Obama released a document that he said was his real longform birth certificate. Some have said the certificate is authentic, while others have said it is a fake. Do you believe the document he released is authentic, or do you believe it is a fake document? Arizona Sheriff Joe Arpaio just released the results of an investigation into Barack Obama’s eligibility to serve as president. How familiar are you with that report? Read the preliminary results of Sheriff Arpaio’s Cold Case Posse investigation.